Good morning members of the Media. Today’s update will focus primarily on recovery with three of six priority areas in mind. These are: Infrastructure and Utilities, Business and Economy, and Human and Social Services. Recovery as we know it; is no small task. However, it presents a monumental opportunity to re-think, re-plan and to re-consider the future direction of this Territory with a view to build resilience and sustainability into our development across the entire spectrum of our society. We have already begun to make significant strides with rebuilding our infrastructure and utilities. However, as we have announced before, much more has been planned. Firstly, I am pleased to report that the building consultant tenders for rehabilitation of the Central Administration Complex have been opened. The Government’s objective is to achieve an efficient and proper rehabilitation of the Complex and the successful bidder will be responsible for design development procurement assistance and supervision during the construction phase. The rehabilitation is to be done in two phases – first the West Wing and then the East Wing. Current projections are for the Complex to be fully completed by early 2020. My government has recognised that rebuilding our infrastructure and utilities is critical to catalyzing all other aspects of the rebuild, whether it is our livelihoods or our businesses or business sectors. In this regard, our infrastructure plan has also called for a rebuild of approximately 90 miles of road network as well as drains, ghuts, walls and sea defenses. To date, many of these road networks have already begun with its repairs. Through the primary components of the CDB Rehabilitation and Reconstruction Loan, we have started to survey and design roads and revetments for some of the areas that were significantly damaged. 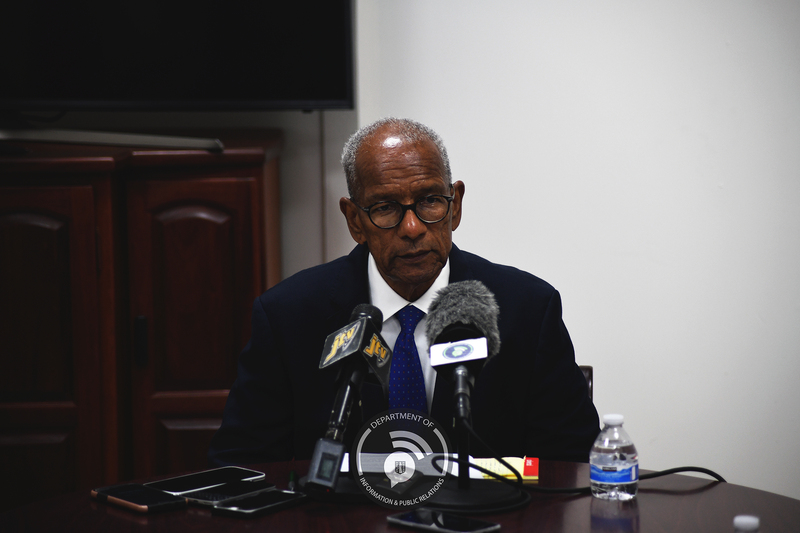 Additional plans have also recognised the critical importance of extending the runway at the Terrence B. Lettsome International Airport in supporting a rapid economic recovery and positioning the Territory to respond more effectively and efficiently following future disasters, should they occur. This extension is also fundamental to the future of this Territory, given that our industries, Tourism and Financial Services, depend on having easy, reliable and affordable access to our global markets. A market that relies heavily on an adequate infrastructure to support and grow our industries and ensure that our economy is able to produce the revenue streams required to ensure the quality of life of the people of the Virgin Islands. The task of reconstruction in the aftermath of Hurricane Irma is enormous and the road to full recovery requires a strong institutional structure with significant and sustained financing to drive the economic and social recovery needs and future growth of the Territory. Now, I will speak on the topic of Business and Economy. For the financial services industry to grow and prosper, it is important for the BVI to keep potential new markets and services under review. As you are all aware by now, the proposed trade mission to Africa, which was scheduled to take place in November, has since been postponed until early next year. Instead, my Government will direct all necessary resources towards supporting the Territory’s financial services sector after a further review of the timeline relating to the European Union’s (EU) assessment of international finance centres. Africa represents another opportunity for the BVI because with the growing complexity and interconnectedness of the global financial system, we cannot sit on our laurels; we must continue to engage stakeholders in the marketplace, discuss challenges, and seek out opportunities to diversify our brand. A new independent report is expected shortly which will further highlight how International Financial Centres support foreign investment into Africa. The opportunities have to be explored by the BVI government and the private sector working in partnership, as they always have done, to make sure we generate our fair share of business coming from and into Africa. That is why we will proceed early next year with our plans to engage with the governments and businesses communities in major African countries namely: Cape Town, South Africa; Nairobi, Kenya; Abuja, Nigeria and Lagos, Nigeria. I will now divert my attention to my third and final recovery priority area: Human and Social Services. The highest responsibility of any government is to ensure the health, safety, education and well-being of the people. Following the devastations of the weather events of last year, many of us have been placed in the most vulnerable state we have ever experienced in our lifetime, and some are better able to rebound than others. To make certain that the Territory’s economic recovery and development does not leave socially disadvantaged groups, families, and communities behind, it is important to understand the day-to-day living conditions of all segments of society, and to hear directly from the persons most affected. That is why my Government will be rolling out a series of Comprehensive Country Survey and Assessments in the coming months so that we can fully understand the needs and concerns of our citizens, in order to improve their standard of living and overall quality of life. On the topic of Education; it was exactly one year ago after the devastation, when my Government through the Ministry of Education and Culture ensured that our children received daily learning at institutions and centre set up throughout the Territory in various districts as a means to provide some level of normalcy to the students and their parents, after many of our schools were deemed unusable. However, through it all, our students prevailed, topping OECS in the number of CXC passes for a second consecutive year. This is good news! I congratulate the students, teachers, parents and supporters for a job well done in ensuring that even through adversity, our students remained on a path to excellence. Additionally, I take this time to thank all of our community partners for assisting with the rebuilding of the Territory’s schools. 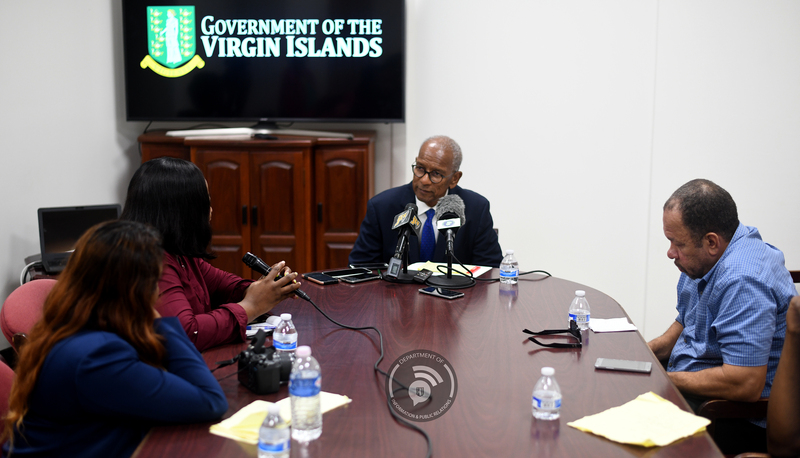 We have recognised that the Government can not build this Territory alone and that it will take the public sector and the private sector, locally and internationally working together to make this BVI stronger, smarter and better. I would like to thank Mr. Peter Haycraft of Road Town Wholesale Company Limited and his team, Newton Construction for thrusting their weight behind the development of the Enis Adams Primary School; the North Sound Foundation formed by Mr. David Johnson for their assistance in the rebuild of the Robinson O’Neal Memorial Primary School in Virgin Gorda; and many of the significant partners who continue to support our recovery and rebuild of our educational institutions. 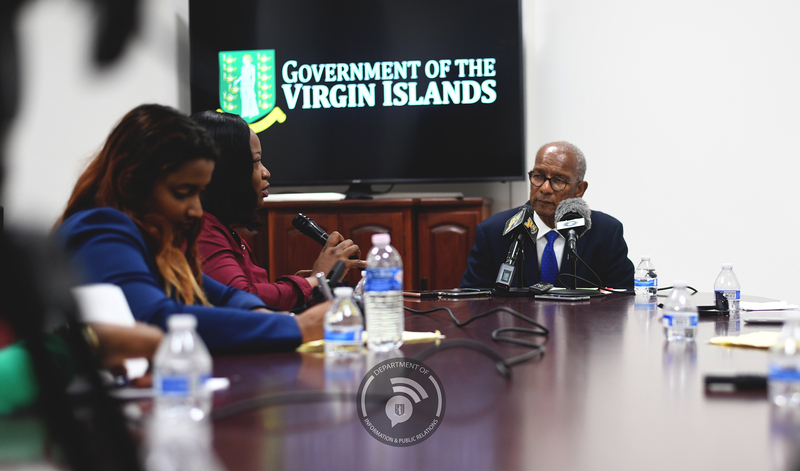 The Government of the Virgin Islands strongly values the partnership we’ve built with you over the years and consider you a true community partner. We support the bond and efforts that is the funding mechanism for our Territory’s school’s construction and are pleased to know that your commitment and contribution is one from the heart.